As a professional advertising agency specializing in Christian church marketing, we’re often asked by our new and prospective clients about which products, services, and subscriptions will be the most meaningful investment or the best “first steps” for churches who are new to Missional Marketing. While we strive to provide a wide array of options uniquely tailored to any church client’s goals, there are 3 crucial services that we believe no church should go without. Working in combination, these subscription-based services are what we consider to be the cutting-edge cornerstone of successful church marketing, mentioned in their order of importance. In case you were unaware, Google offers a grant program for non-profits allowing eligible organizations to receive up to $10,000 per month in pay-per-click advertising value. (That’s right – we said $10,000 per month!) While ad campaigns run through a Google Ad Grant are subject to quite a bit of regulation to ensure its proper use, the grant is an incredibly powerful tool for churches who could not otherwise afford significant online advertising. Applying for and securing a Google Ad Grant is also a lengthy, complicated and time-consuming process, but it can be simplified by experienced Google experts. To help churches take advantage of this significant opportunity for free paid advertising, Missional Marketing offers Google Grant application services and ongoing campaign management services at various levels of support. 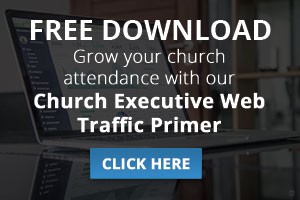 Free advertising value is pretty hard to beat, so it’s no surprise that the Google Ad Grant setup and subscription ranks as #1 for our best recommendation to new church clients. If you’re wondering about your church’s eligibility for the Google Grant, you can find out right now with our Google Grant Eligibility Checker for Churches. 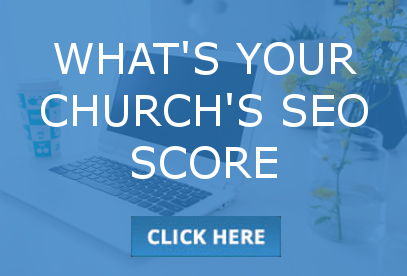 This simple tool uses a brief questionnaire to instantly provide an answer on whether or not your church is eligible. If it’s not, the results will explain why. If it is eligible, you’ll find out any next steps you need to take before submitting an application. Once you’re ready, you can enlist our help with our Google Grant Application Services and we’ll guide you through the application process each step of the way, including your registration with Google for Nonprofits, performing the initial keyword research, and even auditing your church’s website to search for anything that might disqualify you from obtaining a Google Grant. If you’re interested in the grant, we also recommend that you take a look at our Google Grant Impact Estimator for Churches. 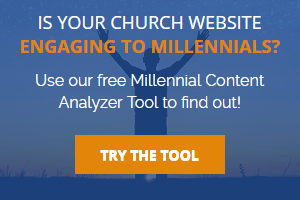 After you answer some simple questions about your church, this tool will provide an instant estimate of the monthly dollar value of Google Ad Grant advertising attainable with a managed campaign, along with an estimate of the number of monthly visitors to your website that our Google Grant Campaign Management Services will generate. While the potential results may seem astronomical, Google does have very strict policies in place as to how the grant will be used, so Google Grant campaigns must be managed with extreme care, or you run the risk of having the grant terminated. Suffice it to say, it’s nearly impossible to remain in compliance with Google Grant policies without a strong background in digital marketing, but with the extensive knowledge and expertise of Missional Marketing, we’ll help you stay compliant and ensure that your church receives the maximum value from your grant. We offer four different tiers of service and pricing for our Google Grant Campaign Management Services, from Google Lite to Google Super. Promising an unbeatable return on investment at all levels of service, we feel that no church should pass up on this essential subscription. Running efficient and effective advertising campaigns optimized for Google is our specialty, so you can trust us to deliver results, helping you to reach more unchurched people and drive targeted traffic to your website. As a Top 5% Certified Google Partner and dedicated Christian marketing firm, Missional Marketing is the most qualified third party you’ll find to manage your church’s grant. When a person without a church looks online to gather options of local churches to attend, they’ll almost always use keywords in a search engine that will return location based results. For example, they’ll search ‘church near me’. When it comes to using Google, the top 3 local results (or the “local pack” as it’s called) will appear on a map above all the other search results, and getting your church website to rank among these top few results is one of the best ways to ensure that people in your local area searching for a church will find and visit yours. The local pack only displays results that are geographically near the individual searching and those that Google is extremely confident actually exist at the address they claim, meaning churches with outdated websites or inconsistent information online will be out of luck. Optimizing your online presence to increase your rankings and grow organic (unpaid) traffic from search engines involves the management of three critical measures that will make your church appear both consistent and trustworthy in the eyes of Google, which is where our #2 most fundamental marketing service for new church clients comes into play: The Local Church SEO Boost. This yearly subscription was created to build and maintain the local search presence of your church, and our pricing varies relative to the number of campuses you wish to include. We understand that one of your goals as church leadership is to get more “cheeks in the seats”, and our Local Church SEO Boost can help do just that by driving local people searching for churches directly to your church location. 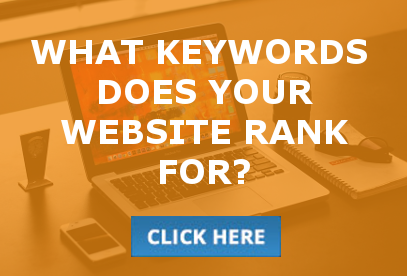 What search terms lead people to your website? What parts of the website are used most and which are used least? Which pages receive the most new visitor traffic? What percentage of people respond to a specific call-to-action? Once we can answer some of these questions, we’ll be better equipped to establish website conversion goals, such as growing the number of users clicking on “Attend a service”, “Service times”, “New here”, “Get directions”, etc. We’ll also be able to identify and correct a number of common website issues, including high bounce rates, low conversion rates, page errors, low smartphone traffic, missing Google sitemap, visitors following the wrong click path, and many more. After completing the initial setup of your Google Analytics Account and your Google Search Console Account, we’ll regularly log into your accounts to evaluate the website status and gain new direction on how to improve it. 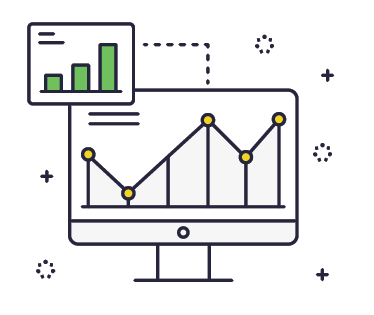 We’ll even provide you with an All-In-One Dashboard so that you can see a snapshot of everything going on with your website performance. The performance of your church website can be considered a first impression for all your potential in-person visitors, and we all know the importance of a strong first impression. Put your website into the hands of trusted Christian marketing experts and let us help you to reach more people in the most effective and meaningful way. If you’re new to Missional Marketing, we strongly encourage that you take advantage of these 3 essential services as your first step in working with us. We understand the incredible value in each of these subscriptions for church growth, and in providing this powerful trio, we hope to share the same story of success with your church that we’ve experienced with countless others. To get started with Missional Marketing’s top 3 foundational subscriptions, contact us at your earliest convenience.